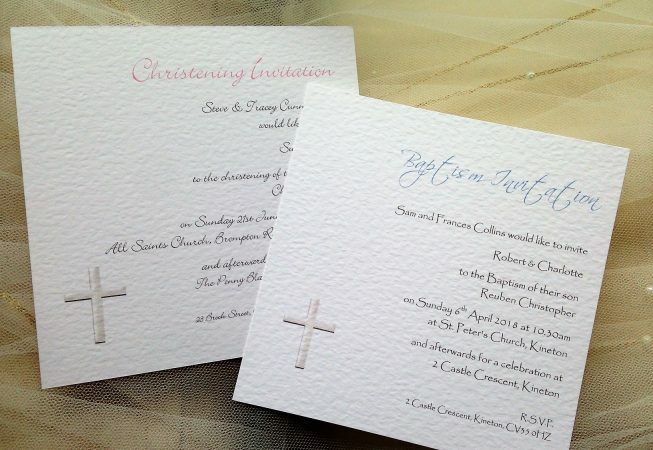 Square Christening Invitations are available as Christening Invitations, Baptism Invites, Naming Ceremony Invitations and First Holy Communion Invitations. 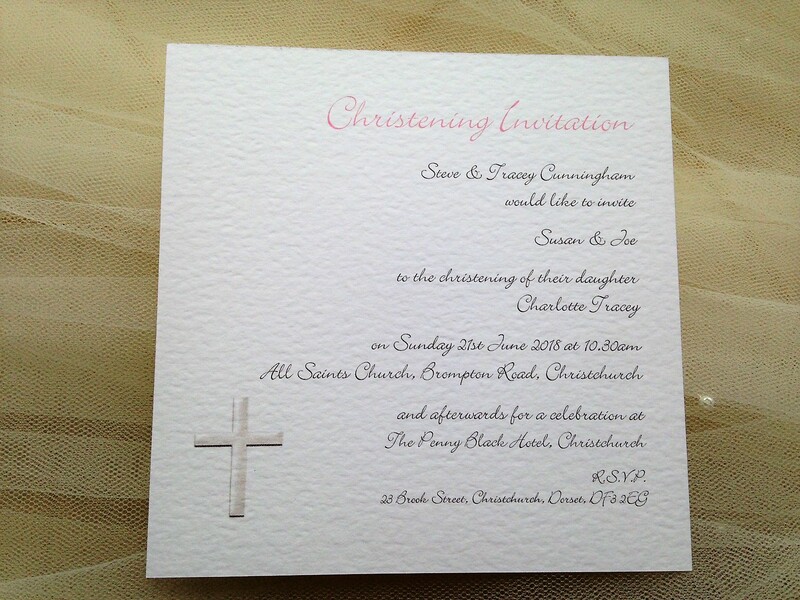 Wording can be changed to suit, totally personalised invites. 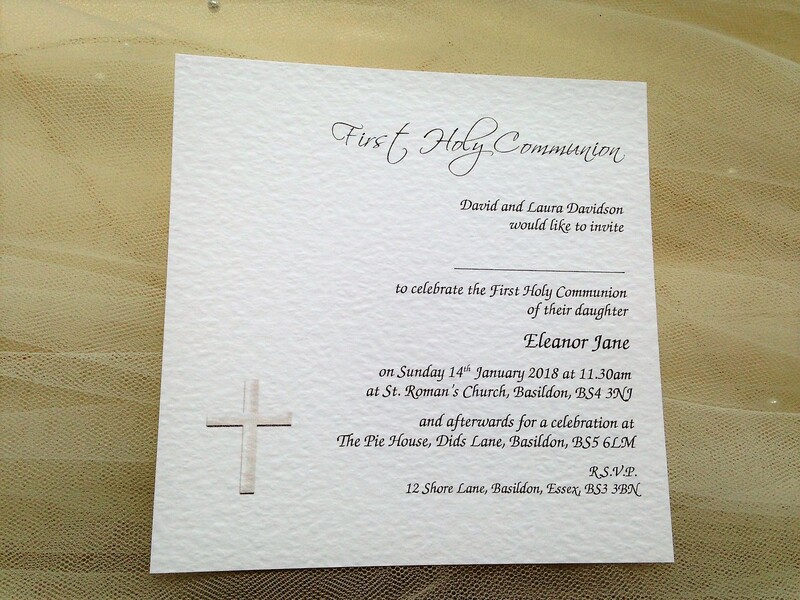 Square Christening Invitations are printed on a thick heavy weight (270gsm) hammered card in either white or ivory. Just £1.10 each. 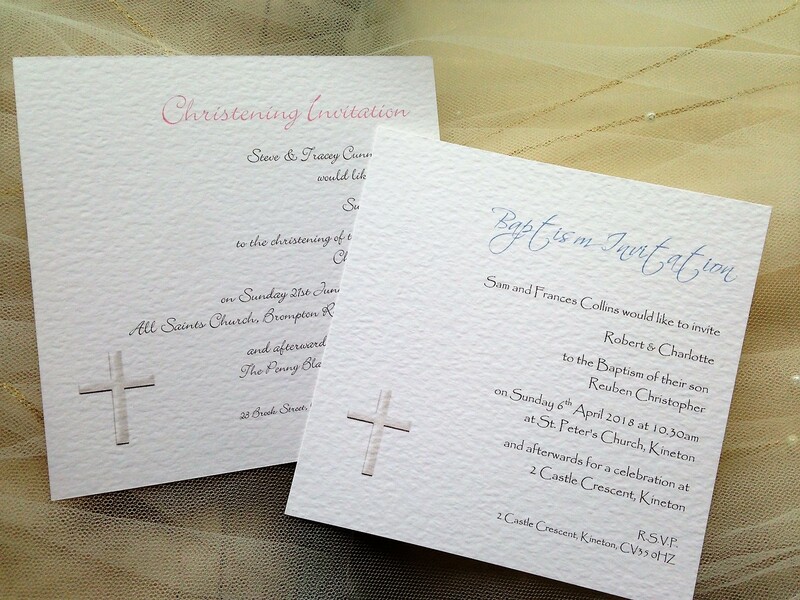 Includes all personalised printing and a matching hammered envelope. 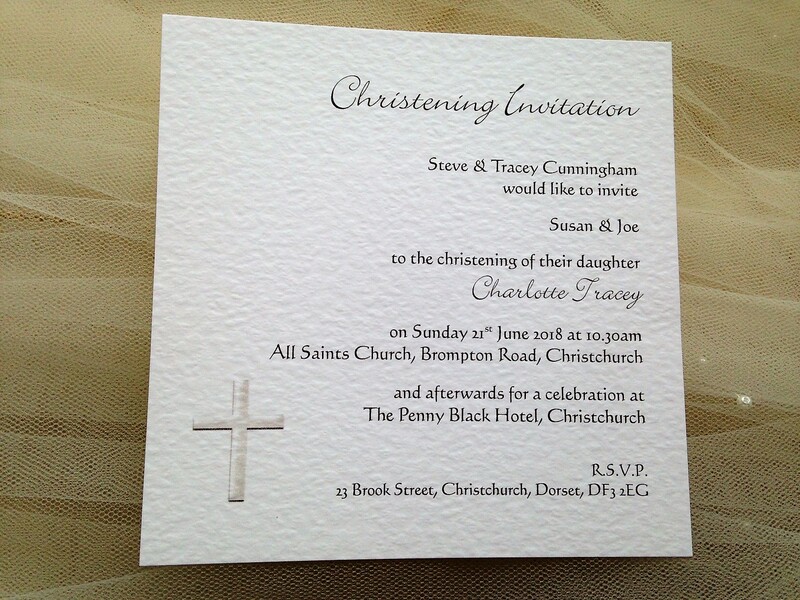 Top quality heavy weight invitations for an affordable price. Features an attractive crucifix which can be swapped for a photograph if you prefer.